Hubbell-Wiring H-Moss® Low-voltage relay occupancy/vacancy sensor in office-white color, features passive infrared and ultrasonic technology. It has sensing distance of 2000-Sq-ft and 360-degree viewing angle. It features ABS housing and polyethylene lens. Sensor requires 24-Volt DC voltage and 33-Milli-Amps current for operation. It is suitable for classroom, conference room, executive office and open office space. It has response time of 8 secs for test mode and 8 to 40 mins for adaptive mode. Sensor measures 4.5-Inch Dia x 1.5-Inch. Sensor features red LED for passive infrared detection and Green LED for ultrasonic detection. Non-volatile memory of the sensor saves learned and adjusted settings and power outages will not cause status loss. It has 3-Wire lead terminal connection. 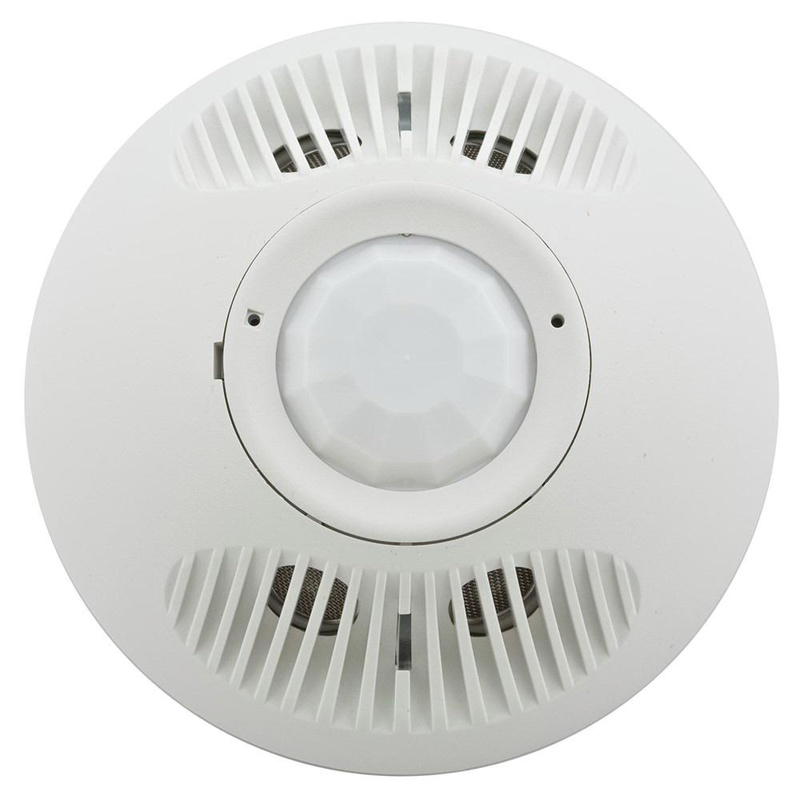 It is ceiling mounted at height of 8 - 12 ft. Sensor operates at temperature range of 0 to 40 deg C. Sensor is UL/cULus listed and ASHRAE/CEC compliant.